Message board rules and guidelines, member ranks posted here. Welcome to Dawning of the Red Moon! Introduce yourself here. Open conversation. Interests, questions and just conversation in general can be discussed here. 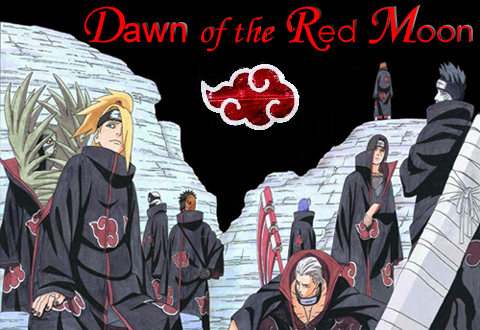 Discuss the individual members of the Akatsuki. Discuss your favorite Naruto pairings here. No shipping wars or bashing of any pairings is allowed. Discuss the Naruto manga and anime here. All fan works go here. If it isn't yours, be sure to credit!